DAVID LE/Staff photo. 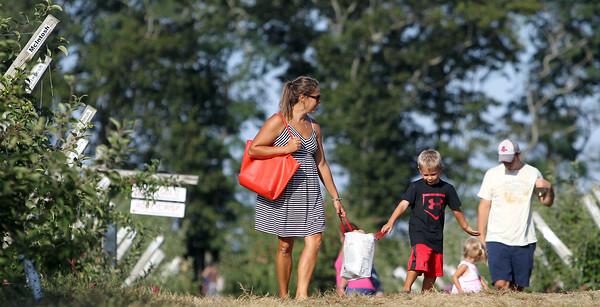 Kate McCarthy, of Danvers, and her son Raymond, carry a bag of apples they just picked together down a path in Russell Orchards in Ipswich on Saturday afternoon. 9/19/15.